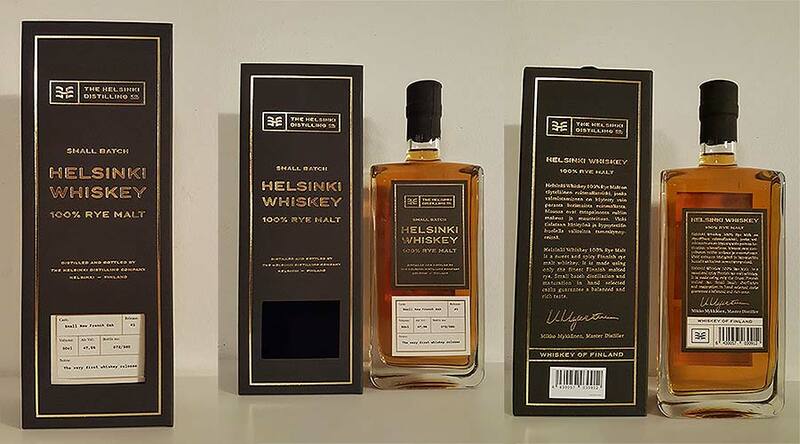 The Helsinki Distilling Company (HDC) launched their first official release for retail markets in 2017. 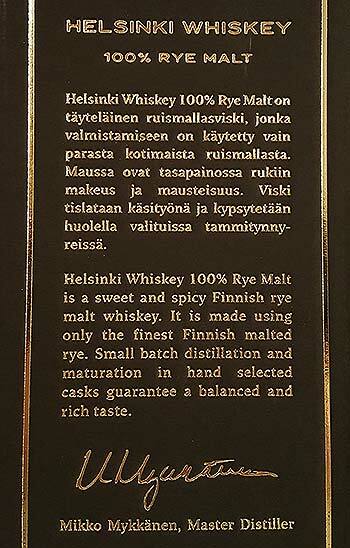 This 100% Rye Malt comes from Finland’s capital, where HDC was established in 2014. HDC has 300 and 1500 liter pot stills with an annual production of 30 000 liters. 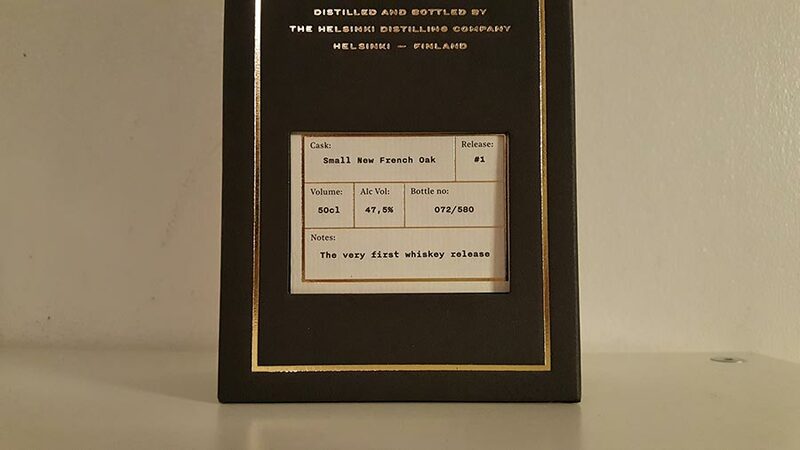 Their spirits portfolio includes rye whiskey (single malts will be added soon), gin, aquavit and applejack. So far they’ve released 4 batches of rye whiskey. 2 batches of 100% malted rye and 2 batches of rye malt (70% rye, 30% barley). 10 small 28 liter new French oak casks, 580 bottles released in total. Bottle number 72 in question. Well, I’m kidding. I think this suits for people who don’t normally drink strong rye whiskies. 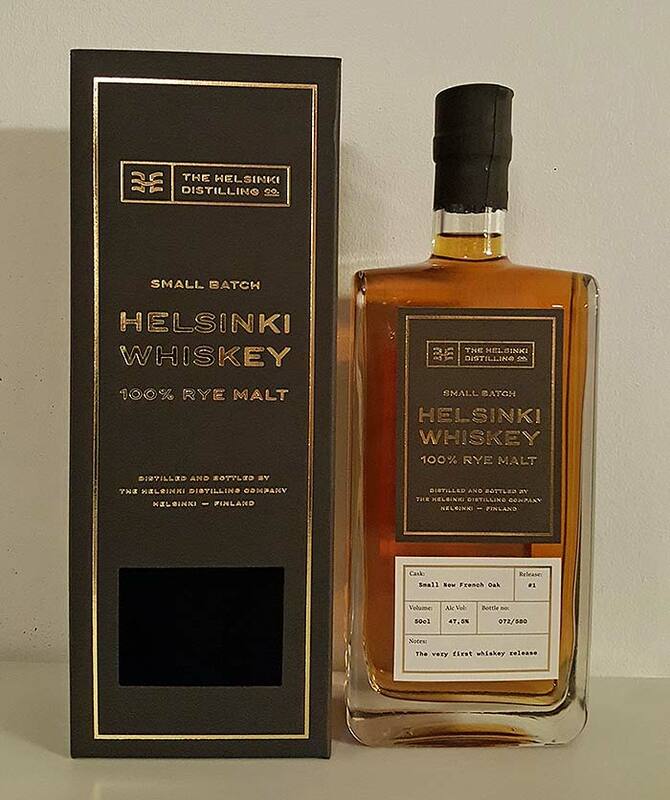 This is not a typical rye, which I guess, can be harsh. This is fresh and vibrant, quite smooth. I just had to reference this to a good movie directed by first time director. Because that’s what this whiskey is, outstanding first release. Like Robert Redford did with Ordinary People, which won 4 Oscars, including best movie and best director. Nose: Fresh strong notes of juniper, hints of pineapple peel. Very young and vibrant rye, freshly cut hay. Dominating juniper notes start to evolve into cranberries with toffee on the side. Taste: Very smooth with mild notes of lingonberry, toffee and caramel. Slightly fruity too. Eventually, juniper shows up. Water really mellows things down. Finish: Strong juniper finish, quite fast but good. 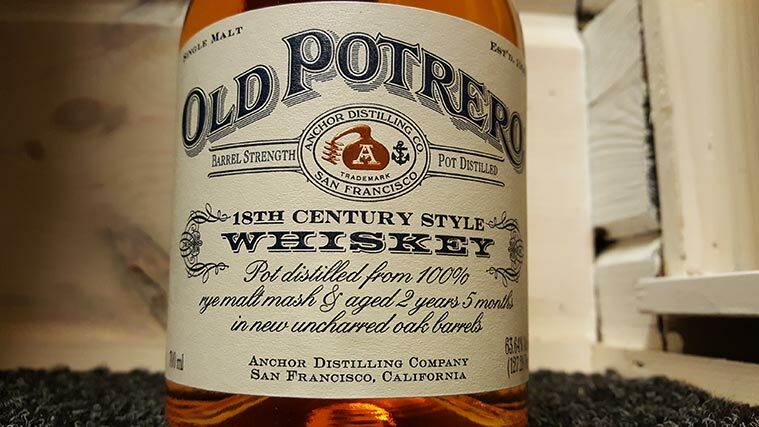 Oak, bitter juniper and crispy young rye with rapid speed. All comes nicely back to your throat very late in the aftertaste. Water along with oxidation makes the finish smooth. Balance: The young age really shows in every step. But it’s not in a bad way, except the quick finish. Otherwise, a daily good malted rye. Exceptionally smooth, yet nicely crispy!